On behalf of California’s five largest electric utilities, E3 evaluated the challenges, costs, and potential solutions for achieving a 50 percent renewables portfolio standard (RPS) by 2030. Using our Renewable Energy Flexibility Model (REFLEX), we performed detailed operational studies of power system dispatch flexibility constraints under high levels of wind and solar generation. We found that achieving a 50 percent RPS is feasible and that California’s power system can remain reliable as long as renewable resources can be dispatched in response to grid needs. Our study recommended strategies for integrating higher levels of renewables, including greater regional coordination, renewables portfolio diversity, flexible generation capacity, flexible loads, and energy storage. We found that deploying these strategies would reduce the need to curtail renewables, lowering the cost of reaching 50 percent RPS. E3 advised a large private equity firm on a potential acquisition of nearly 1 GW of wind generation assets. This project tapped our deep understanding of the western grid, markets, and public policy. We applied our suite of models to project price trajectories for future renewable power purchase agreements, to assess the impact of renewable curtailment on asset values, and to weigh supply and demand for renewable energy credits under potential future regulation. Our analysis helped the company stress-test its internal valuation results and ultimately supported a successful bidding strategy and acquisition. The Ivanpah Solar Electric Generating System (ISEGS) is the largest commercial solar thermal plant in the world. Built in California’s Mojave Desert by BrightSource Energy, the plant produces a maximum output of almost 400 MW and cost more than $2 billion. E3 supported its development with strategic and regulatory consulting, plant valuation, site and transmission valuation, and other services. BrightSource relied on E3’s reports and testimony to gain site permits and transmission interconnection; utilities relied on our work in signing power purchase agreements. 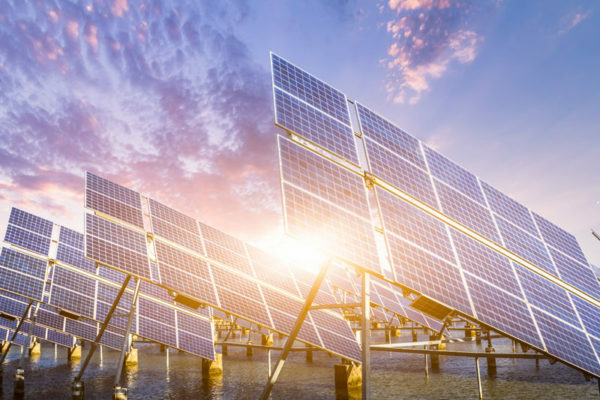 E3 partner Arne Olson’s testimony was key to BrightSource’s successful application to the California Energy Commission (CEC) to construct the ISEGS, as opponents claimed that distributed solar photovoltaic projects would negate the need for it. Olson’s rebuttal reinforced the BrightSource proposal, and the CEC approved the site license in 2009. Construction began in 2010, and Ivanpah came online in February 2014. E3 supported KCP&L Greater Missouri Operations Company (GMO) in its successful opposition to a $14 million disallowance proposed by the regulatory staff of the Missouri Public Service Commission (MPSC). GMO had purchased NYMEX natural gas futures to hedge against possible wholesale electricity price increases, but the spot and futures prices for natural gas plummeted, resulting in a $14 million loss to GMO. The MPSC staff contended that GMO’s hedge amounted to placing a bet in the stock market and should be disallowed. E3 founding partner C. K. Woo provided direct and surrebuttal testimony to the MPSC, explaining the role of cross-hedging in managing electricity spot-price risk and countering claims that GMO had misused natural gas futures. The MPSC denied its regulatory staff’s imprudence allegation, allowing GMO to fully recover its costs. E3 advised a global data center operator on renewable energy procurement in the western U.S. to support achievement of its corporate sustainability goals. We advised the client about factors impacting the long-run cost of the renewable attribute for wind and solar procurement, which is critical to understanding the economics of long-term renewable power purchase agreements. Our 20-year hourly price projections under various market and regulatory scenarios factored in natural gas and carbon price levels, the mix and quantity of renewable technologies on the system, the penetration of rooftop solar PV, and the deployment of renewable integration technologies and strategies. These scenarios supported transaction due diligence and provided a boundary for the ranges of potential renewable energy credit costs.